A fantastic tour taking in the very best of Namibia. A small group tour in a luxury overland vehicle. 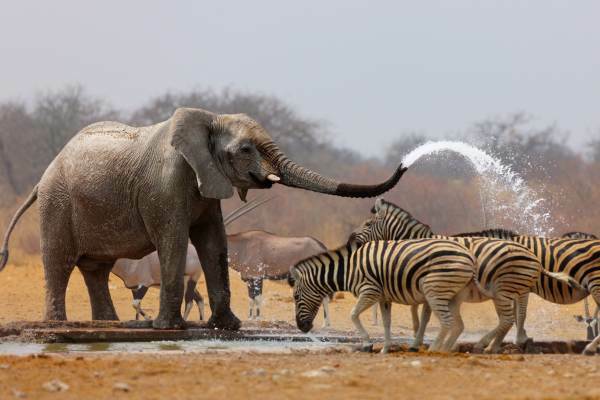 Experience the Namib Desert, Etosha Park and many other popular destinations in Namibia. Our Namibian adventure begins with an early start in Windhoek. We head north and arrive at Etosha National Park in the early afternoon. We do a short game drive on our way to the rest camp where we check into our accommodation. This evening we enjoy a night drive in open safari vehicles where we hope to encounter some of Etosha’s famous predators including lions. 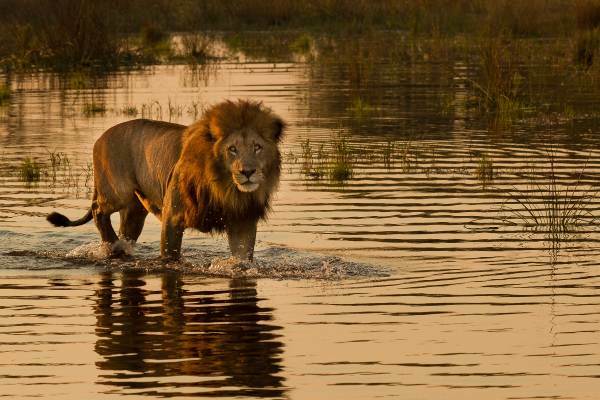 Today we explore this famous game reserve and enjoy fantastic wildlife viewing. Etosha Park is famous for its large herds of elephant and antelope and sightings of large cats (lions and leopards) are common. Time will be spent at the many waterholes where fantastic photographic opportunities await. The evening can be spent at the floodlit waterhole where animals come and go all evening. A great place for sun downers. We do our final game drive and head west to the Brandberg (Burnt Mountain)– Namibia’s highest mountain. This mountain is off the beaten track and a fantastic sunset awaits. For many people, this is the most beautiful part of Namibia. Today we explore the Spitzkoppe. This area has unique rock formations and is home to some of Africa’s most famous rock art dating back thousands of years. We visit the Welwitchia Mirabilis and learn about this ancient plant. We check into our accommodation in Swakopmund where we spend the next couple of days. There is a free day to explore this old colonial town which is often referred to as the Desert Adventure capital. Enjoy some of the many activities on offer or just relax and take in the sights. Today we travel from Swakopmund to the Namib Desert – the oldest desert in the world with the highest sand dunes. We stop at the popular outpost of Solitaire before heading to our desert accommodation. The Namib Desert is a photographers dream. There is plenty of time to explore this unique area, including Deadvlei and Sossusvlei. For those with energy there is an opportunity to climb the towering Dune 45. We include a stop at Sesriem Canyon. The Namib Desert is definitely one of the highlights of this tour. This part of the tour provides us with an opportunity to get an insight into some of the traditions of the Nama communities. We visit a village of traditional Khoikhoi people – who have been living in the area for thousands of years. This evening we enjoy a nature drive and another spectacular sunset. Today we take a leisurely drive back to Windhoek where we stay just outside the city. We do our final Namibian sunset drive this evening. Our Namibian adventure tour ends on the morning of day 12. Activity Package - R1 380 ( Optional ) - This includes what we consider to be the key activities on this tour, A breakdown of this payment is available from our consultants.